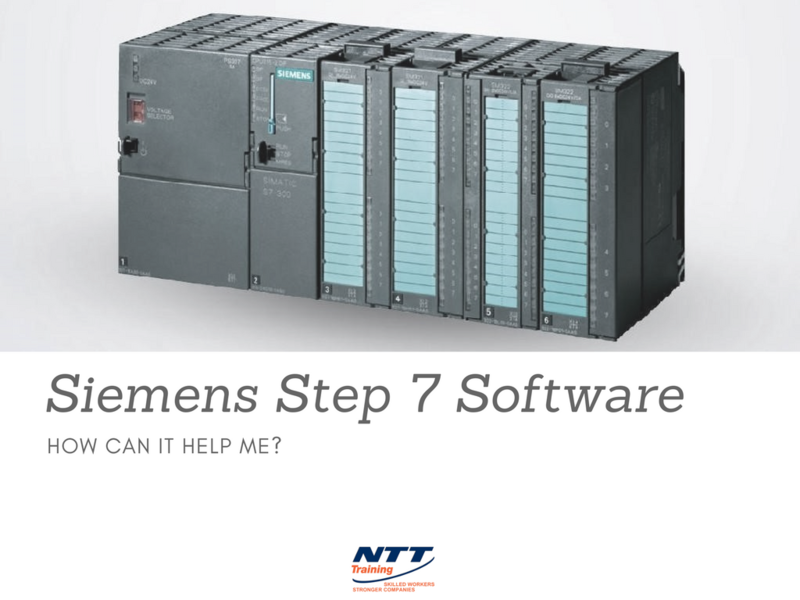 NTT Inc. - Siemens Step 7 Software: How Can it Help Me? Siemens Step 7 Software: How Can it Help Me? Siemens Step 7 software is for Simatic (industrial PLCs) controllers. It is the most widely used and reputable engineering software in the world. Siemens Step 7 is the software platform that supports and integrates the engineering environment from planning through operation, and much of its importance involves the high level of data consistency throughout the engineering process. This software platform works for PCs and PLCs (Programmable Logic Controllers). According to Siemens, “In addition to the 3 programming languages, SIMATIC offers further options for programming and design, e.g. for failsafe applications, or Safety Integration (SI). To keep related costs low, the use of diagnostics tools is recommended. Process diagnostics support maintenance personnel with troubleshooting and fault avoidance.” Options include problem-solving, like loop control. Who Benefits from Siemens Step 7? Saving time – Engineering processes are shorter and easier because of the integrated functions and graphical configuration as well as real-time trace and higher performance. Shorter downtime – Remote support and diagnostics are easily accessed. Less depreciation – Reusable components and compatibility adds value to your investment. As you surf the internet, looking for information about the Simatic Step 7 software, you’ll discover an over-abundance of confusion and contradictory information. That’s because this software has different programming and functional capability than most PLCs. Another statement that surfaces again and again is this: training should be hands-on. There’s just no way you can learn about and troubleshoot problems without running the software and connected to a PLC Control yourself. In a competitive business environment, your professionals’ proven knowledge with certifications and credentials can give you the cutting edge! NTT Training Inc. offers electrical or mechanical online lectures, seminars and onsite training sessions that can be customized for your workplace and structured to save your company or department money and time. Call 855.712.7353 or contact NTT Training Inc. for more information.